will not lead you to my kingdom. has become unbearable to me. and families line up for bags of grain. and profit from the blood they spill. while you occupy another people. build checkpoints and demolish homes. Your fast today is meaningless to me. let justice rule in your streets. all are fed and clothed and sheltered. I have been asking of you all along. Do you think you are up to the task? Will you offer them to me? with offerings that I truly require? you will have nothing left to give. life giving waters without end. Erase the borders that you have drawn. It often seems to me that this prayer is at its core a meditation on the randomness and precariousness of existence – a way of giving voice to our deepest fears over that which we cannot ultimately control in our lives and world. After all, so much of what seems random in our world is in fact the blowback of our own actions, individual and collective. While it may be temping to simply throw up our hands and blame this cruelty on others – or the vicissitudes of a “random world” – the harder truth bids us to take a deeper look within, reckon with our own culpability, and think honestly about what we are prepared to do to make this new year one of peace, wholeness and justice for all. We hear the great shofar sounded once again. We listen for the still, small voice in its wake. B’rosh hashanah yikateyvun, uve’yom tzom kippur yeychatemun. who through hatred and who through ignorance. who by passion and who by design. who will dwell in safety and who will be uprooted. who will escape and who will fall. who will find peace and who will dwell in darkness. who will be counted and who will fall through the cracks. who will brought in and who will be cast out. who will be fed and who will go hungry. who will reach out and who will turn away. who will succumb and who will fight back. וּתְשׁוּבָה, וּתְפִילָה, וּצְדָקָה מַעֲבִירִין אֶת רֹעַ הַגְּזֵרָה. U’teshuvah, u’tefillah u’tzedakah ma’avirin et roah hagezeyrah. I think we’re all too familiar with the ways the electronic media brings information into our lives with every increasing speed. It’s the reality of the digital age: just about every millisecond it seems, we’re bombarded with news and data of every shape and size. And thanks to our computers, our laptops, our iPads, our smartphones, the news now literally follows us everywhere we go. And as our screen time increases, so does the process by which we assimilate this information. We read the stories, we read pundits who tell us how to think about them, we read the proliferation of comments by those who have read them, then even before we’ve had time to process the data, a new story has goes viral and the whole cycle begins anew. I often wonder what this digital onslaught is really and truly doing to us. To be honest, I don’t think we have much of a handle on how it affects us – particularly what it does to us on a soul level. I say this not only because of the speed in which the news reaches us, but because the overwhelming majority of it tends to be so palpably dark and tragic. We’re all familiar with the old media adage, “if it bleeds, it leads,” but in the 21st century digital age, it often seems to me that the news now comes to us in a never-ending loop of tragedy – one continuous “bad-news narrative” if you will. A narrative that appears to be entering our hearts and minds and souls at an ever-increasing rate. Now I’m sure that there are at least a few High Holiday sermons to be written about this troubling phenomenon. But I’m not going to give that sermon tonight. To be honest, I’m not really that interested in that sermon. I’d much rather explore the exceptions to the rule. I’m more interested in the stories that actually break this pattern – the narratives of “subversive goodness” that remind us the world is not nearly as dark and dangerous as the information industry would have us believe. I’m sure many of you have read and passed these kinds of stories along yourselves via the social media. We’ve all seen them – they often seem to go viral with a ferocious intensity. It’s a phenomenon that indicates to me, among other things, that our souls crave reassurance now more than ever. It’s as if we’re desperately seeking reminders that at the end of the day, this dark digital narrative does not reflect reality. Maybe we view these stories as a kind of spiritual corrective – a necessary affirmation that the human condition is not, in fact, defined by our basest impulses and actions. Such a story recently made the rounds just this past month. I’m sure many of you read it – and if you did, I suspect you reacted just the way I did. Quite simply, this news story emotionally stopped me in my tracks. I felt it represented a sort of “spiritual rebooting” – a moment that re-righted the information imbalance by offering us a fundamentally different narrative of the human condition. It affected me so much, in fact, that it actually motivated me to delete the Rosh Hashanah sermon I was planning to give tonight. The more I meditated on it, the more this story truly seemed to provide us all with a perfect narrative for the New Year. I’m referring to an incident that occurred this past August 21. In a suburb of Atlanta, a 20 year-old man named Michael Brandon Hill walked into an elementary school with an AK-47 and 500 rounds of ammunition. By all appearances, the story began in manner with which we we’ve all too tragically become accustomed. Hill, who had struggled with mental illness since childhood, had recently stopped taking his medication. Despite his illness, he was somehow able to obtain a high-powered automatic weapon with enough rounds to kill hundreds. And on that morning, Michael Hill dressed himself in combat gear and entered the Ronald E McNair Discovery Learning Academy – a school filled with 870 students ranging in age from five to eleven. This time, however, the narrative would take a dramatic detour. Upon entering the building, Hill encountered the school bookkeeper – an extraordinary woman named Antoinette Tuff. And after engaging with him for thirty minutes, she convinced Michael Hill to surrender to the police without killing or injuring a single person. During the entire incident, Antoinette Tuff mediated by phone between Hill and a 911 operator, who in turn was in touch with the local police. As it turned out, the entire half hour encounter was captured on tape from beginning to end. Soon after this story was reported, the full 911 tape was released online, where it went viral immediately. When I listened to this tape – I don’t know how else to say it – I’m honestly not exaggerating when I tell you that hearing this tape touched me profoundly – spiritually, really – like nothing else in my recent memory. The tape begins shortly after Hill first entered the school building. Antoinette has just called 911 and she tells the operator that he’s threatening to start shooting if the police gets too close to the school. Then Hill leaves the building and you hear him exchange gunfire with the police outside. Antoinette asks, “Should I run?” but soon after Hill comes back inside the school. From the very beginning, Antoinette addresses Hill calmly and with respect. She repeatedly calls him “sir” and conveys his every word back to the operator. At this point their conversation is focused mainly on Hill’s demands: to keep the police away, to get in touch with the press, to contact his parole officer. Then she starts to actively advocate on his behalf with the police. “He didn’t hit anybody, he just shot outside the door,” she tells the operator. “If I walk outside with him, they won’t shoot him or anything like that? … He just wants to go to the hospital …” Then she turns to Hill and says, “She’s says hold on, she’s gonna talk to the police officer and I’ll go out there with you.” While all this is going on, Antoinette opens up and shares her own personal struggles with Hill. She tells him that her husband left her after 33 years and that her own son has multiple disabilities. I strongly encourage you to listen to this tape if you haven’t already. I’d go as far as to say that listening to this 911 tape would be a profoundly appropriate spiritual exercise for Rosh Hashanah. After all, the New Year is the time in which we are commanded to “rewrite the narrative” – to break the destructive cycles of the year now past. And here, just in time for the New Year, Antoinette Tuff has shown us that we can break free; that we can – indeed, we must – be authors of a new narrative that affirms healing and redemption in our lives and our world. In this story, the only thing that stopped a bad guy with a gun was a good woman with a heart. Or to entirely rewrite (LaPierre): The only thing that stopped an emotionally damaged, despairing and unloved young man with 500 rounds of ammunition was a compassionate woman sharing her own story of damage and despair, and telling him she loved him. Up until now, the NRA’s narrative has been the ascendant one on violence in our country. It’s a narrative designed to scare us into believing that our world is a dark and dangerous place filled with dark and dangerous people – and if we are unsafe, it is only because we don’t have enough weapons to defend ourselves. One of the most palpable political effects of this narrative has been the loosening of gun laws nationwide; indeed, this last July, Illinois became the last state in the nation to adopt a concealed-carry law. I’ve never particularly been a fan of black and white, good guy/bad guy narratives. While they might make for exciting movies, I believe they are profoundly toxic when we apply them to real life. When we buy into these simplistic tropes of good and evil, we invariably convince ourselves that the only way to fight violence is with more violence. But of course, when you fight violence with more violence, that’s precisely what you end up with: more violence. Those who advocate fighting force with greater force purport to be realists, but in truth just about every study we know tells us that the opposite is true: that on an individual level and a collective level, the most effective way to defuse violence is not through the threat or employment of more violence, but through the use of diplomacy, of relationship, of basic human connection. If there could be any doubt, Antoinette Tuff is the living embodiment of this truth. In fact, conflict resolution experts have pointed out that though Antoinette was not trained in mediation, she instinctively utilized these very techniques. She made an effort to connect with Michael. She stayed calm and tried to understand him. When he went outside and fired at the police, she could have run, but she stayed and continued to work with him. She addressed him respectfully. She was willing to share her own vulnerabilities with him. She had compassion for him. When we read about school shootings, most of us, I think, reflexively regard the shooters as the sheer embodiment of evil. I certainly understand why this is so. It is, if you will, our brain stem response. But Antoinette made a conscious choice not to give in to her “fight or flight” impulse. She made a decision to see Michael Hill for who he truly was: not as an evil murderous monster but as an emotionally broken young man who had hit bottom. What might it mean for our world if each of us could cultivate this kind of compassion for those whom we are typically socialized to fear? Well, for one thing, I can’t help but think that this kind of compassion would have a galvanizing impact on our public policy. According to family and friends, Michael Hill had been diagnosed with bipolar disorder, schizophrenia and ADHD and was unable to receive his medications because his Medicaid had expired. Whether or not these specific diagnoses were accurate, we do know that the social safety net for the mentally ill in this country has been egregiously neglected. So in short, the story of Antoinette Tuff is a story for the New Year because it challenges us to break free of the conventional political narratives that are so prevalent in our national culture. But I believe there are even deeper reasons as well. I was just praying to my spirit; I was just … saying “God what do I say now? What do I do now?” I just kept saying that on the inside because I knew that I had no words to say. And I knew I was terrified. Now many religious liberals – and I include myself among them – tend to scoff at comments like “I give all credit to God.” We often regard such words as self-abnegating; we criticize them for undervaluing the importance of human agency and human autonomy – and we often construct impressively intellectual theologies to prove our point. But I will confess to you that when I heard Antoinette Tuff testify to her faith, it knocked right off my theological high horse. When she described how she managed to hold off her own terror so that she could let God’s grace and mercy in, I realized that she was describing a process that was spiritually profound and very, very real. I don’t think any of us would doubt that for a second that Antoinette was terrified. But what’s truly amazing is that when you listen to this tape you don’t hear one iota of fear in her voice. On the contrary, it’s the voice of calm, of peace, of compassion. It’s the voice of a woman who knew instinctively that the only true way out of this nightmare was to empty herself of her fear of this young man so that she might let her love for him in. When she said to Michael as the police were rushing in, “I want you to know that I love you” I believe she meant it with every fiber of her being. The love she felt for this young man at that moment was love in its most basic and elemental and unconditional form. The kind of love that is untainted by fear or desperation. The kind of love that binds all people together, yes even the most unlikely of them. The kind of love we might call, for lack of a better term, God. The most central theme of this day is “Malchuyot” – God’s sovereignty. On Rosh Hashanah we pray prayers over and over again that re-enthrone God as the Power above all powers in the Universe. We don’t do this for the sake of self-abnegation or self-flagellation, but rather so that we can let go of our own illusions of power and ego – to liberate ourselves through the acknowledgment of a Power even greater than our own. But we can only do this, I believe, if we let go of the fear we so easily carry with us year after year. In order to truly liberate ourselves into a New Year offer up the parts of ourselves, the parts of our souls that keep us from letting that greater Power in. For it is only when we let go of our fear and trembling that we are able to let in the greater love and compassion that we call God – the power of healing and transformation that we invoke so fervently at this time of year. Again, while Antoinette was not specifically trained for a situation such as this, she knew on some deep, spiritually cellular level that the most direct way to connect with Michael was to open up and to share her own stories of struggle and loss. When you listen to this tape and you hear Antoinette tell him that her husband had left her only a year ago and that she had a disabled child – and that she herself had also contemplated suicide – it is truly a breathtaking moment. In that instant she was connecting with Michael through the clearest point of their common humanity: through their mutual experience of brokenness. In truth, we all have these broken places, in ways large and small. None of us are fully whole. As Antoinette rightly says, we all go through something in life. Whether it is physical or emotional illness, the loss of someone we love, or simply the day-in-day-out stressors that weigh heavily upon us and too often break us down, none of us are immune to the brokenness of life. Sooner or later, we all get wounded in some way. All too often, however, our wounds tend to isolate us – to shut us off from the world and from those around us. But as we all know, any wound left untended will only fester and grow. If we bury our pain deep down, it inevitably becomes a source of shame and fear – sometimes cripplingly so. Just like physical wounds, we need to tend to our psychic, spiritual wounds. We need to acknowledge and own their existence. Because when we accept our brokenness as a basic aspect of our very humanity we are, whether we realize it or not, taking our first steps toward healing. So too, our common cracks are also where we have the greatest opportunity to find empathy for others. In fact, I think they represent the most direct points of connection we have with one another. If you could have any doubt, Antoinette demonstrated this process for us all. She took her pain and transformed it into understanding and empathy. It sounds counter-intuitive, but I believe there is very real truth to this: within our greatest vulnerabilities lie our greatest strength: to connect with another broken spirit and thus together, find a way toward healing and hope. It is precisely this spiritual truth that brings us all together every year at this time. Each of us – each and every one of us – is bearing some measure of pain and loss as we gather together for Rosh Hashanah. Perhaps the central image of the High Holidays, the open gates of heaven, is just a mirror image of our own broken hearts. 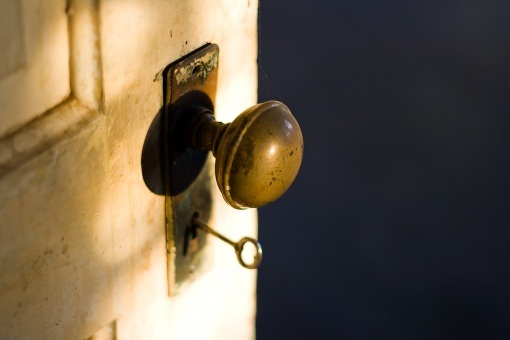 The key, as ever, is not simply to grieve over our brokenness, but to eventually see it as an opportunity for openness, for spiritual awareness, for empathy and connection with others. And so to conclude: what am I thinking about this New Year? This New Year I’m thinking that even the longest and darkest narratives can be swept away by one brief moment of light. I’m thinking about the ways we might empty ourselves of our terror and fear in order to make room for love and compassion. I’m thinking that we must never forget, even in our most painful moments, that a broken heart is an open heart. But most of all, I’m thinking about Antoinette Tuff, a woman who looked at a young man entering a school with an AK-47 and saw nothing but a child of God. Shanah Tovah to you all. Yes, our actions do make a difference. Every opening of a door, every act of peacemaking, every move we make to heal the world around us has the potential to create a sacred transformation. They can make a difference in ways we can see readily and in ways we will never truly know. And lest I forget one more crucial point: such actions have the potential to transform our own lives as well. Isn’t that what this time is year all about in the end? That we need not surrender to the complex, often painful external events that too often enter our lives. That no matter what, we can start anew, that our actions do make a difference. I have said it before and I will it argue to anyone willing to listen: if our spiritual tradition stands for anything, it stands for the eternal possibilities of healing, of hope, of transformation. No matter what may happen in the world around us, we are not simply bystanders bearing witness to eternal cycles of occurrence and recurrence. We can break these cycles, we can re-chart our courses, in a myriad of small and not so small ways. And if we ever have any doubts about this, we gather and affirm this truth together every single new year. And here we are. Another new year has arrived. Another door has opened before us. The gates have opened wide. Let’s join hands, step forward, and walk through them together. Check out the latest musical offering of Persian Jewish singer Galeet Dardashti – a taste of her new live performance, Monajat. 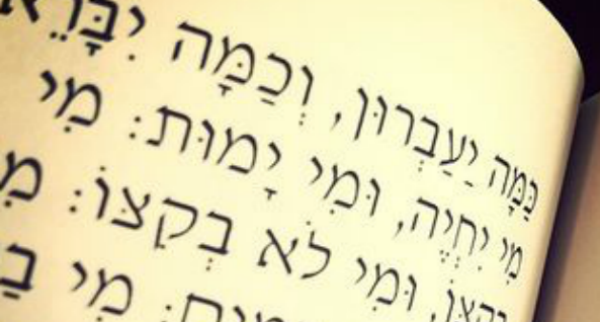 Monajat is inspired by the poetic prayers of Selihot, recited during the month preceding Jewish New Year. It is a time-specific concert and program that takes place during a period of deep reflection and spiritual preparation. In the project, she re-imagines the Selihot ritual in collaboration with an acclaimed ensemble of musicians, an electronic soundscape, and dynamic live video art. Monajat is a Persian word meaning an intimate dialogue with the Divine. Using Persian melodies and Hebrew texts, the work pays homage to her grandfather (Yona Dardashti, the most renowned singer of Persian classical music in Iran in his day). She performs some of the Persian piyutim (liturgical songs) traditionally chanted as part of the Selihot service, as well as other liturgical and non-liturgical Hebrew and Persian poetry set to new music. Through electronics, she defies time and performs with her grandfather. Dardashti’s Persian-Jewish musical hybrid is nothing short of sublime. If you’re tempted by this preview, check out her album “The Naming,” in which sets her unique musical sights on stories of Biblical women.